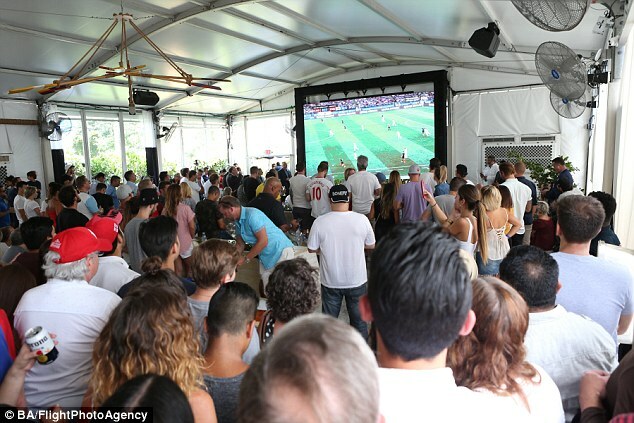 Millions of fans around the world geared up for England’s hotly-anticipated semi-final clash with Croatia on Wednesday. 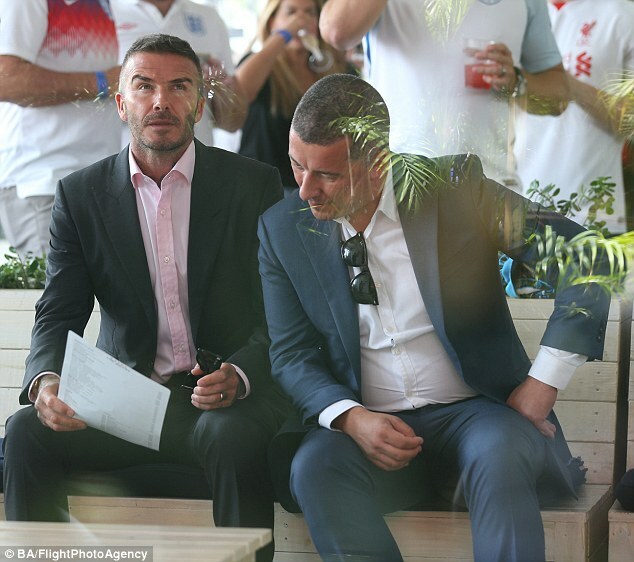 And David Beckham was keen to show his support for the Three Lions team, as he stepped out for a World Cup viewing party in Miami on Wednesday. The footballer, 43, looked handsome as he arrived at the event in style, slipping his muscular figure in a stylish grey suit. 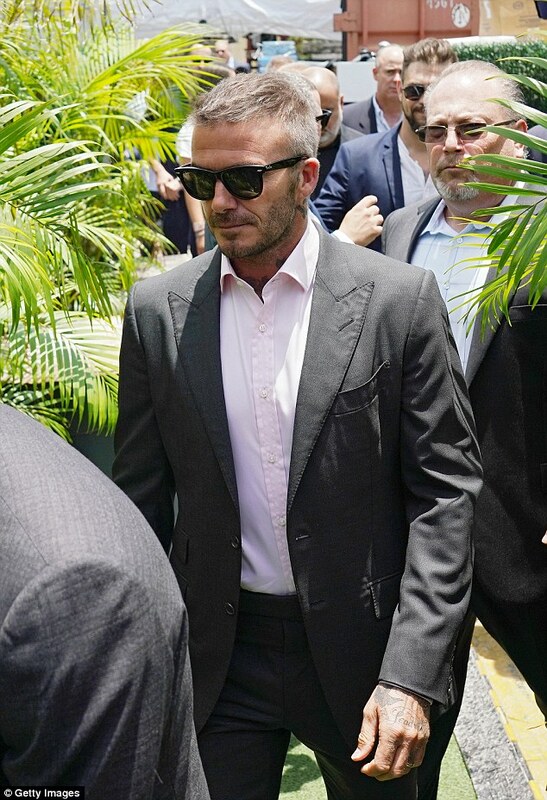 Pairing his sleek ensemble with a light pink shirt, David looked ruggedly handsome as he sported his signature cropped beard. 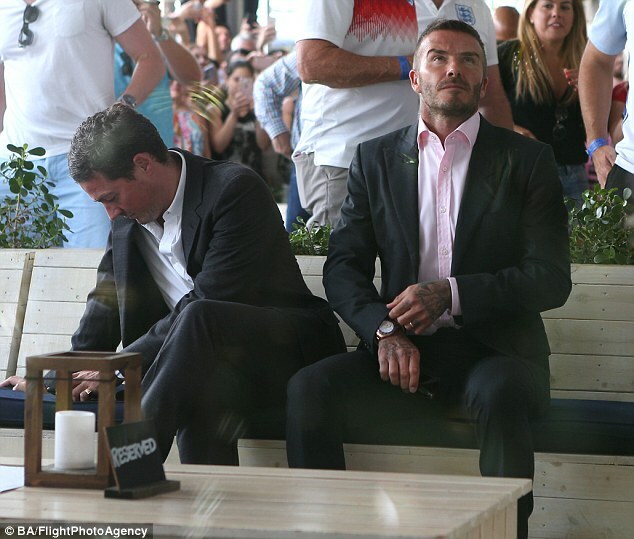 Keeping his brunette locks short and styled in a spikey up-do, the former Manchester United player watched anxiously as the match took place. David completed his look by shielding his eyes with a pair of stylish shades, as he stepped out in a pair of black brogues. David infamously appeared in three World Cup championships himself, so it’s no wonder he’s keen to show his support for his home team. England are battling for a place in the World Cup Final with France on Sunday. England have appeared in a final only once, in 1966 when Germany were defeated 4-2 at Wembley thanks to a hat-trick from Geoff Hurst. Gareth Southgate kept faith with the same side which has taken England to the semi-finals of the World Cup, naming an unchanged starting XI against Croatia. With no injuries to worry about, Southgate submitted an identical team to that which began the last-16 game against Colombia and the quarter-final against Sweden. That meant Jordan Henderson would have to do without the extra defensive assistance of Eric Dier in the midfield battle against Luka Modric and Ivan Rakitic, while Raheem Sterling continued as the foil for six-goal top-scorer Harry Kane.